“I wrote this book out of my experiences during thirty years of teaching at the Collège de France. In it I look both at culture and art – music and painting – as well as life in society, ethics, and the meaning of death; languages and writing, as well as the neural and molecular bases of memory and learning. This book is a fresco that brings together a great amount of varied data, discussions, and hypotheses. It anchors the substance of contemporary science in the history of a range of disciplines: neurology, ethology, the biology of evolution, the biology of development, the study of consciousness, as well as experimental psychology and genomics. 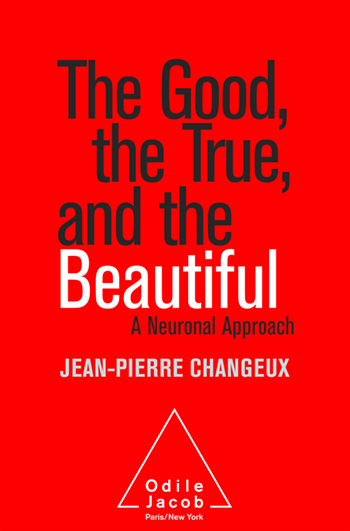 Finally, this book attempts to show that it is up to us to relentlessly inspire the minds of humans to invent a future that will enable humanity to attain a life of more solidarity, a happier life for and with each one of us.” J.-P. C.
Jean-Pierre Changeux is honorary professor at the Collège de France and at the Institut Pasteur, a member of the French Academy of Sciences. In addition to L’Homme neuronal [Neuronal Man] he is the author of Raison et Plaisir and L’Homme de vérité. He is also co-author, with Alain Connes, of Matière à penser [Conversations on Mind, Matter, and Mathematics] and, with Paul Ricœur, of La Nature et la Règle [What Makes Us Think?]. All thought-provoking works.